a) zombie super-strength b) ginormous razor-sharp scorpion tails and c) a hankering for human hand rolls. And only two kids to save humankind from total extinction. 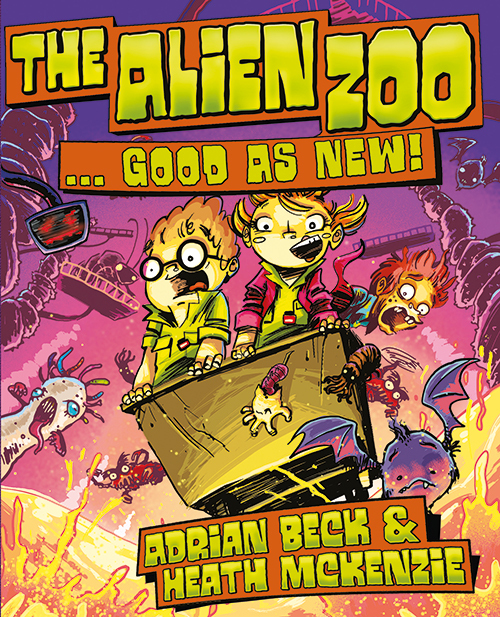 Funny, mysterious and a little bit rude – hold on to your hippos and come back inside The Alien Zoo.